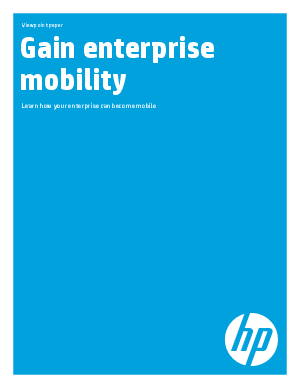 Enterprise mobility describes how mobile devices are changing life and working practices. The tendency is to focus on how to manage these devices and provision applications that enable today’s mobile worker to be effective. While important, there’s a bigger picture to consider as you contemplate making your enterprise mobile. This paper provides valuable insights into learning how your business can become mobile, download now to fnid out more.